Home » The Mindblowing Secret Behind The Numbers 3, 6, and 9 Is Finally REVEALED! The Mindblowing Secret Behind The Numbers 3, 6, and 9 Is Finally REVEALED! Nikola Tesla did countless mysterious experiments, but he was a whole other mystery on his own. Almost all genius minds have a certain obsession. Nikola Tesla had a pretty big one! He was walking around a block repeatedly for three times before entering a building, he would clean his plates with 18 napkins, he lived in hotel rooms only with a number divisible by 3. He would make calculations about things in his immediate environment to make sure the result is divisible by 3 and base his choices upon the results. He would do everything in sets of 3. Some say he had OCD, some say he was very superstitious. However, the truth is a lot deeper. His obsession was not simply with numbers, but especially with these numbers: 3, 6, 9! He did have an extreme case of OCD and he was superstitious, however, he chose those numbers for a reason. Tesla claimed that these numbers were extremely important. Nobody listened. He even calculated nodal points around the planet linked to the numbers three, six and nine! What did Nikola Tesla tried to make the world understand? NOTE: Things will get a lot stranger below! First, we must understand that we didn’t create math, we discovered it. It’s The Universal language and law. No matter where you are in The Universe 1 + 2 will always equal to 3! Everything in The Universe obeys this law! There are patterns that naturally occur in The Universe, patterns we’ve discovered in life, galaxies, star formations, evolution, and almost all natural systems. 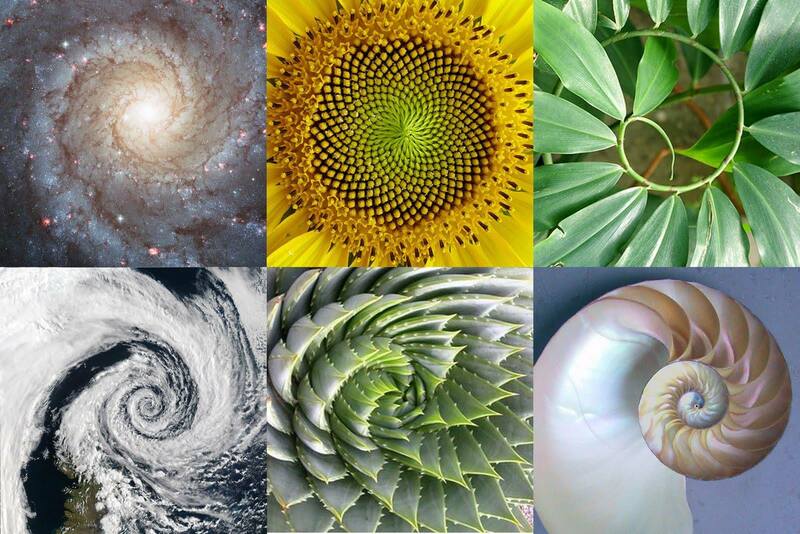 Some of these patterns are The Golden Ratio and Sacred Geometry. Some call these patterns The Blueprint of God. As you can see 3, 6, and 9 are not in this pattern. Scientist Marko Rodin believes these numbers represent a vector from the third to fourth dimension which he calls a “flux field.” This field is supposed to be a higher dimensional energy that influences the energy circuit of the other six points. Randy Powell, a student of Marko Rodin says that this is the secret key to free energy, something which we all know Tesla mastered. If we start from 1 in reverse we will still get the same pattern only in reverse: Half of one is 0.5 (0+5) equaling 5. Half of 5 is 2.5 (2+5) equaling 7, and so on. As you can see there is no mention of 3, 6, and 9! It’s like they are beyond this pattern, free from it. However, there is something strange once you start doubling them. 3 doubled is 6; 6 doubled is 12 which would result in 3; in this pattern there is no mention of 9! It’s like 9 is beyond, completely free from both patterns. This is called The Symbol of Enlightenment! If we go to the Great Pyramid of Giza, not only are there the three larger pyramids at Giza, all side by side, mirroring the positions of the stars in Orion’s Belt, but we also see a group of three smaller pyramids immediately away from the three larger pyramids. We find lots of evidence that nature uses threefold and sixfold symmetry, including the hexagonal tile shape of the common honeycomb. These shapes are in nature, and the ancients emulated these shapes in the building of their sacred architecture. Is it possible that there is something special about the mysterious number three? is it possible that Tesla uncovered this profound secret and used this knowledge to push the boundaries of science and technology? Let’s say there are 2 opposites, call them light and dark if you want to. They are like the North and the South poles of a magnet. But even these two sides, 3 and 6 are governed by 9 which shows something spectacular. Looking closely at the pattern of 3 and 6 you realize that 3 and 6 equals 9, 6 and 3 equals 9, all the numbers together equal 9, both ways excluding and including 3 and 6! So 9 means unity of the both sides. 9 is The Universe itself! The vibration, the energy and the frequency! There is a deeper philosophical truth in this!